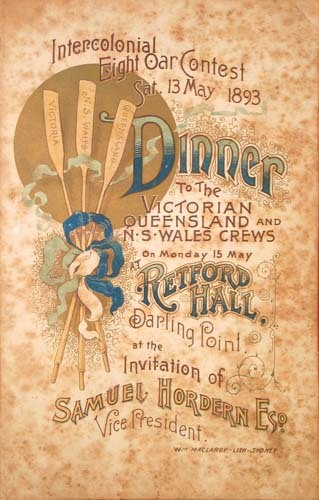 1st NSW – Bow: William J Goulding, 2: Robert J Parkinson, 3: A B Cadell, 4: Charles R Keenan, 5: J Edward Kennedy, 6: Horace C Waters, 7: George G Higgs, Str: Frederick C Moor, Cox: J (Sid) Hellings, Emerg: J A Reid, Cch: Nick Johnson. Average weight 11st 5lb. 2nd VIC – Bow: F Morris, 2: W Herbert T Davis, 3: E Powell, 4: W R Jarman, 5: H B McCormick, 6: W A Adams, 7: J Yeomans, Str: Robert B Nicolson, Cox: G F M Horsburgh, Cch: George Upward, Emerg: Enticott. Average weight 11st 5lb. 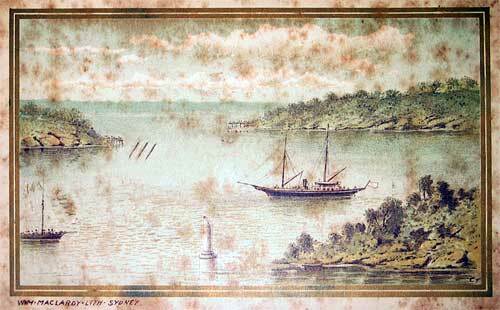 3rd QLD – Bow: Arthur Baynes, 2: W B Carmichael, 3: A Young, 4: J H Williams, 5: R McDowell, 6: W E Molle, 7: E Colclough, Str: Ernest Winter, Cox: W Armstrong, Emergs: Gordon Graham, Michael Slack, J Gore-Jones, J Slack, A Stuart, A Young. Cch: Ernest Winter. Average weight 10st 12lb. 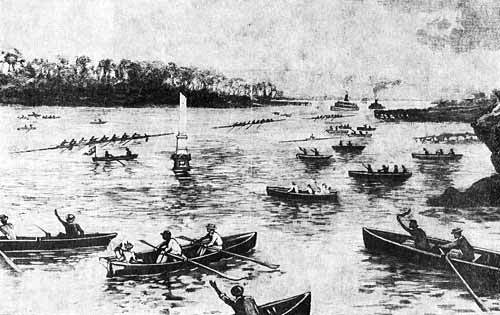 The favoured Victorian crew was comprehensively beaten by the NSW crew who rowed "long telling strokes". Further Sid Hellings was praised for "steering a splendid course, and evaded the force of the tide more than his rival coxswains": Referee 17th May 1893. 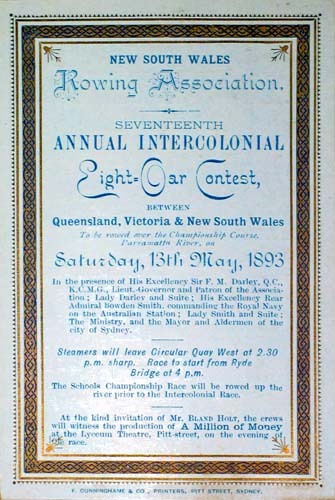 The Queenslander reported on 11th March 1893: It was reported that Mr Winter had been requested to take a seat in the boat and a new coach to be selected. The Brisbane Courier reports that "General" Jinks, an old Victorian identity, trained them. The officials for the race were umpire, Q L Deloitte, starter William Cope and judge Joseph Lord.